An awesome first update in 2018! First and foremost, we wish you all the best in 2018! In the first Indiegogo update of 2018 we’ll be updating you on several topics, including a celebration, production update, last chance offer and a reminder for the final backer survey. 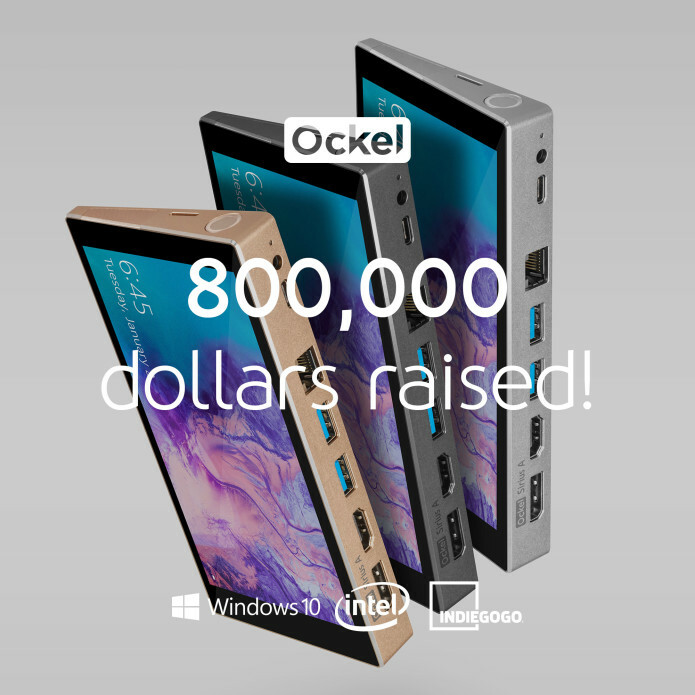 The first celebration in 2018 is a fact, we have reached the amazing 800.000-dollar mark. It has been a challenging journey, but we’re almost there! We believe the Ockel Sirius A is just the start of a new mobile PC era. Obviously, without your support we wouldn’t have come where we are today. Thanks so much once again! We have great news for you: We will start shipping the Ockel Sirius A and Sirius A Pro’s this month! All components have arrived in our production facility, except for the PCB. We expect to have our hands on the PCB within now and two weeks. Directly after receiving the PCB’s, the assembly and final quality control will follow. As soon as the PCB’s arrive we expect to finish the production within a week! We are currently preparing all logistic operations for the massive batch of shipments. Together with our logistic partner, DHL Express, we expect to ship all Ockel Sirius A’s in the last week of January. You will receive a tracking code via e-mail and usually shipments arrive within 3-5 business days. As we are approaching the end of the Ockel Sirius A campaign here on Indiegogo, the freebies which are now being included will be removed as well. 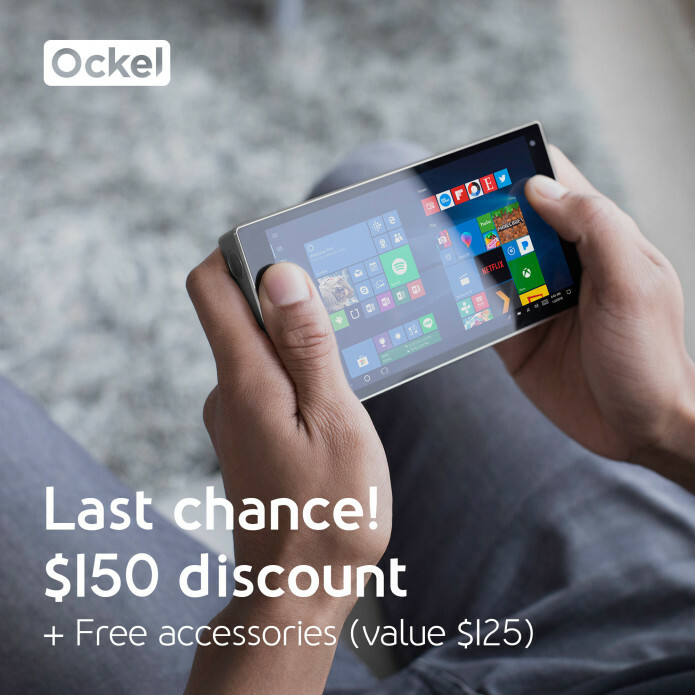 During the next two weeks, you’ll have a final chance to order the Ockel Sirius A or Ockel Sirius A Pro with a huge discount, including the Avanca® accessory pack worth $125: Tempered glass protector and true wireless earbuds. Starting on the 15th of January, all perks will be changed to perks with the just the Ockel Sirius A or Ockel Sirius A Pro for the retail price as listed here on Indiegogo ($699 and $799). Make sure to update your friends, family, colleagues as this offer is available until the 15th of January. 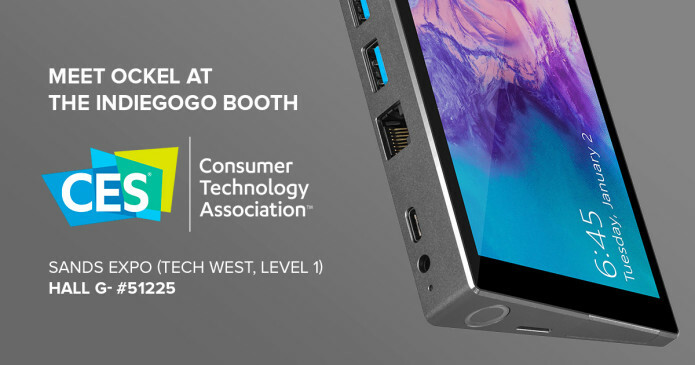 In several updates, we mentioned our attendance to the CES and today we have the official announcement available for you. As a partner of Indiegogo we have been invited to join Indiegogo on their stand during the CES. On the 9th and the 11th of January our Product Specialist, Douwe de Gier can be found at the CES Indiegogo Stand in Hall G- #51225. Douwe will be able to answer all your questions regarding the Ockel products and obviously, you’ll have the chance to get your hands on the Ockel Sirius A and Ockel Sirius B Black Cherry as well! If you happen to be around, feel free to visit the Indiegogo booth for a meet & greet. Don’t forget to rate this update!